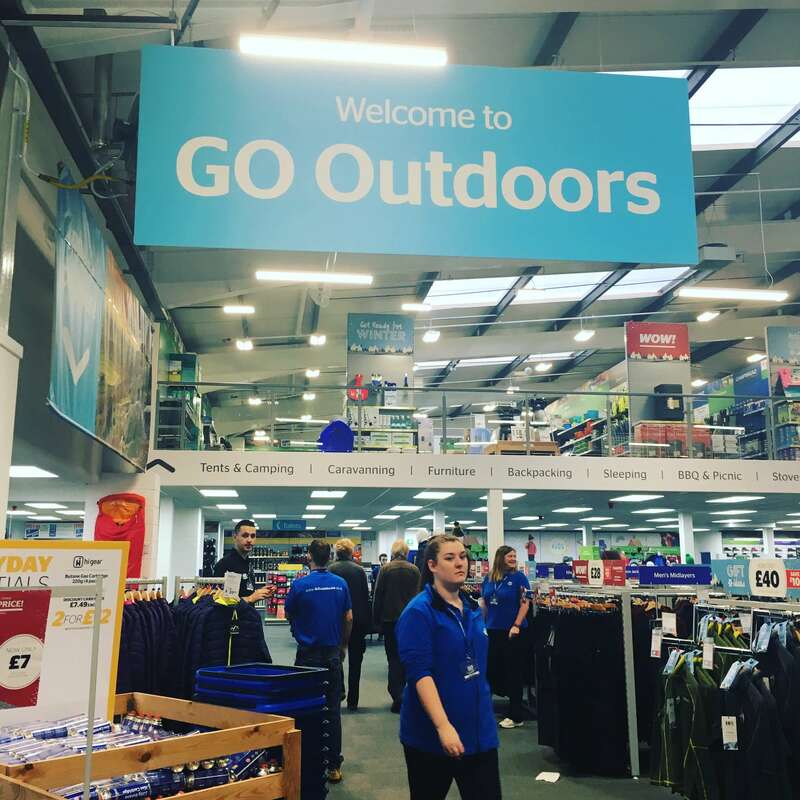 This weekend I was invited down to the soft opening of the brand new GO Outdoors megastore in Nottingham. I’d never actually visited a GO Outdoors store before, let alone a brand new one, so I was really excited to see what the place was like. I was super impressed when I walked through the doors – the store looks bright and airy with helpful signs everywhere to guide you to the department you need. 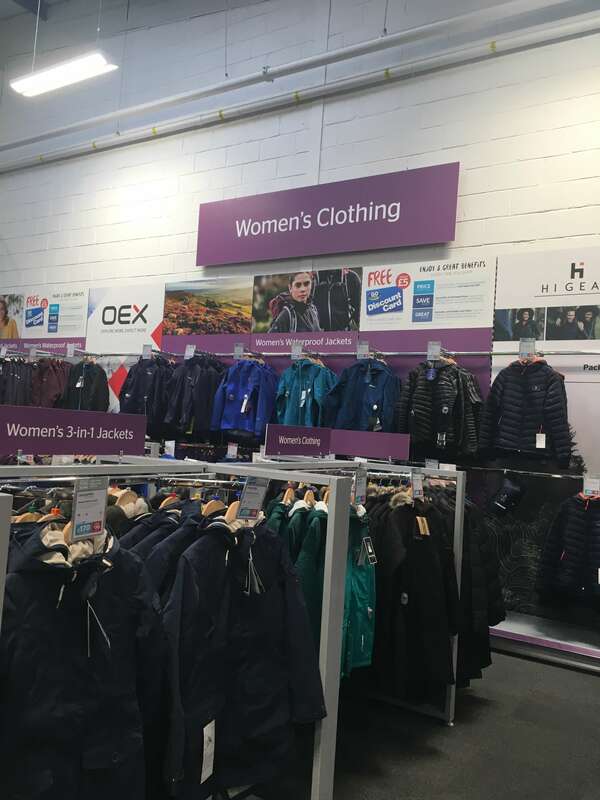 Selling everything you need to explore the great outdoors, from tents to fishing tackle and walking gear to horse riding kit, this is an inviting one stop shop and I could have easily spent hours browsing through all the clothing and equipment. Their mission is to make the outdoors more accessible by keeping their products affordable. 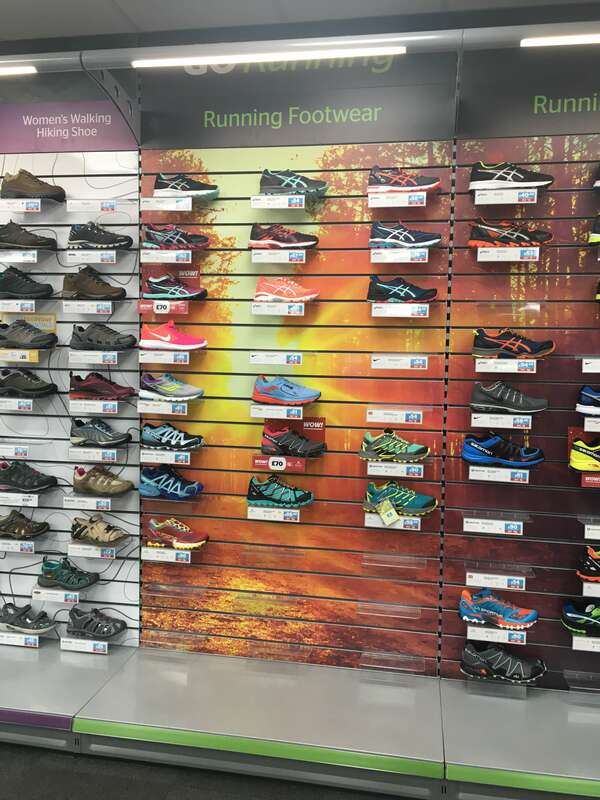 GO Outdoors is different to its competitors in that it has a discount card which you can purchase for £5 per year which gets you huge (and I mean HUGE) discounts from the RRP. For example, this coat has an RRP of £30 but is available for £20 with a discount card – so you’ve already made your money back! If you work in the Armed Forces or the NHS, you also get further discounts AND GO Outdoors will price match its competitors, meaning it’s always the cheapest option. Plus, during the opening if you visit GO Outdoors in Nottingham, you can pick yourself up a discount card for free. The staff are super knowledgeable so, if you’re a newbie to hiking, climbing, pitching a tent, pretty much anything outdoors-related, they can advise you on the best products to suit your needs which are not necessarily the most expensive ones either. 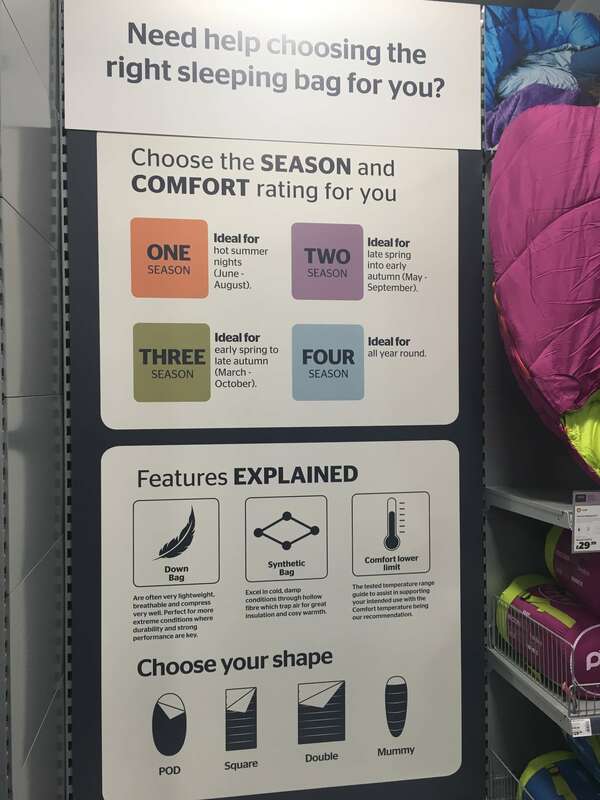 There are also these helpful signs which tell you things like the differences between different sleeping bags. Did you know there were so many varieties of sleeping bags? No, me neither! I was bowled over by the camping department at the GO Outdoors store in Nottingham. 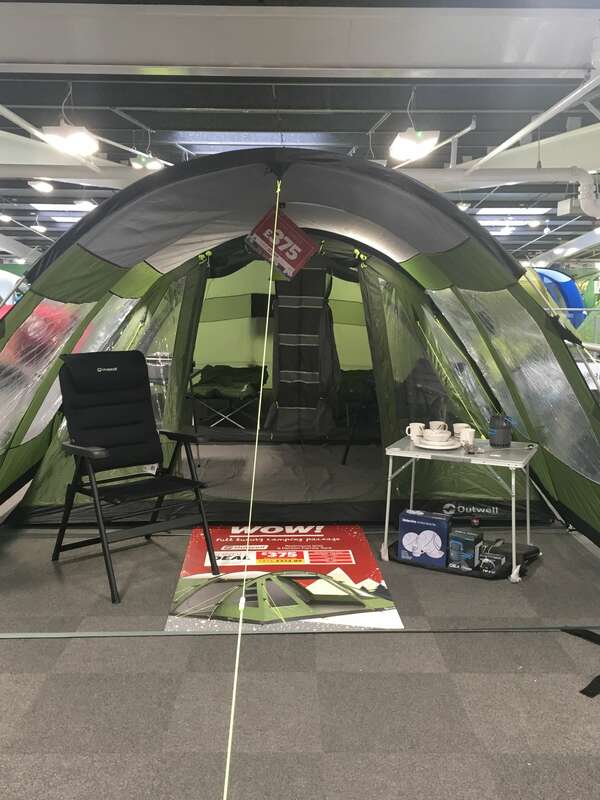 There is a whole mezzanine floor dedicated to camping, the first time the company have done this in any of their stores, where tents are fully set up so you can get a great idea of what you’re actually buying. Anyone who reads this blog regularly will know that I’m not really a camper but this section of the shop pretty much convinced me to give it a try. Staff also have a camping checklist which they can take you through so you can make sure you’ve got everything you need for your trip. I was gifted several items from GO Outdoors including Nike running shoes (now I’ve got no excuse not to get back to running! 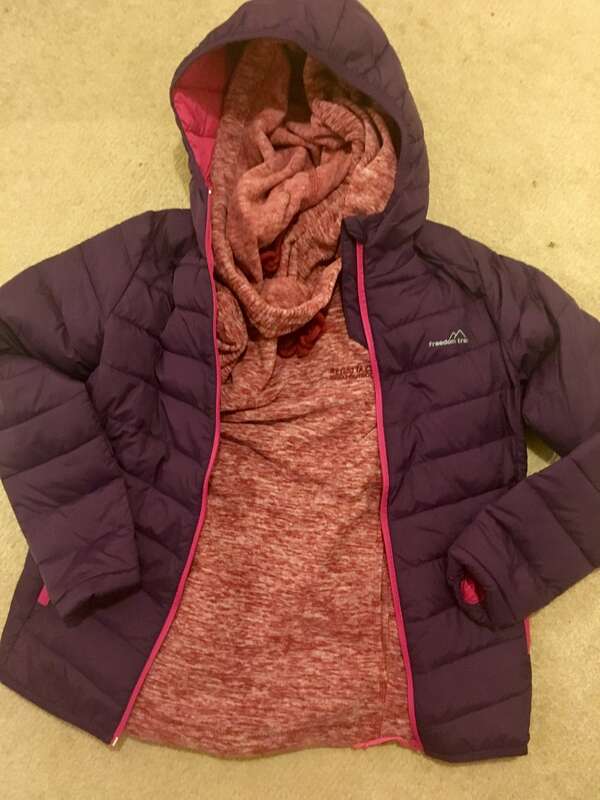 ), Freedom Trail coat, Regatta fleece and some running socks. My favourite item is the coat which I wore to watch Derby County on Saturday and is super thin but ridiculously warm – perfect for walking the dog this winter! If you’re after a fleece for yourself check out this article. GO Outdoors in Nottingham has its grand opening this coming weekend (5th November) so get yourselves down there to grab all your outdoor gear. The address for the shop is Mansfield Road Arnold, Nottingham, NG5 6BP and there’s free parking. Find a GO Outdoors store near you or shop online here.